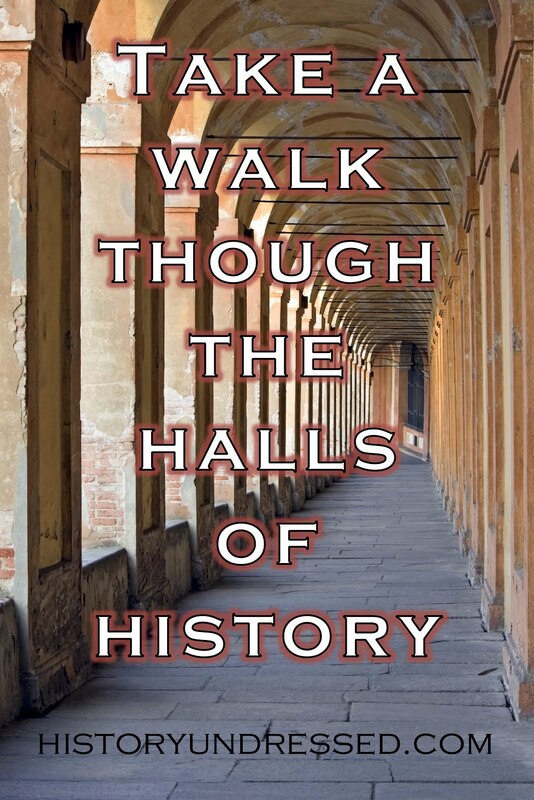 Welcome back to History Undressed, guest author, Regan Walker! Today we're in for a real treat! Two of my favorite things William the Conqueror and castles! Enjoy! 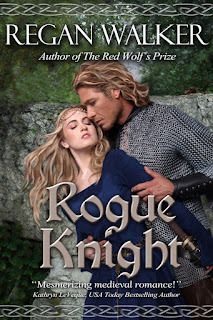 Rogue Knight is set in York in 1069-70. In the course of my research, I learned much about the castles William the Conqueror built in York. He might have conquered the south of England in 1066 but he did not conquer the north until years later. The north drew his attention because the people there, more Anglo-Scandinavian than Saxon, refused to accept his claim to the throne and because York was too important to ignore. In 1068 William rode north to York and engaged in a skirmish with the “rebels” who did not accept him as their king any more than they had Harold Godwinson of Wessex before him. When the city submitted, as he did almost everywhere else, William built a castle to leave as a lasting reminder to the populace that he was now in charge. And he left his knights. Rivers Ouse and Foss. Today the wooden castle has been replaced by the present-day York Castle, also called “Clifford’s Tower”, constructed of stone. The first, wooden one was built in a hurry, as were many of William’s castles. Some accounts say the first timber castle went up in nine days. The motte, or mound of dirt on which the tower was constructed, was originally about 200 feet wide at the base. As he did elsewhere, William the Conqueror destroyed an entire section of the city to make way for his castle. At the foot of the motte was an area surrounded by a wooden palisade, a post fence. This was the bailey. Richard FitzRichard was made castellan of the first York castle and left to guard York with William Malet, the new Sheriff of Yorkshire and the garrison of Norman knights and men-at-arms left behind. 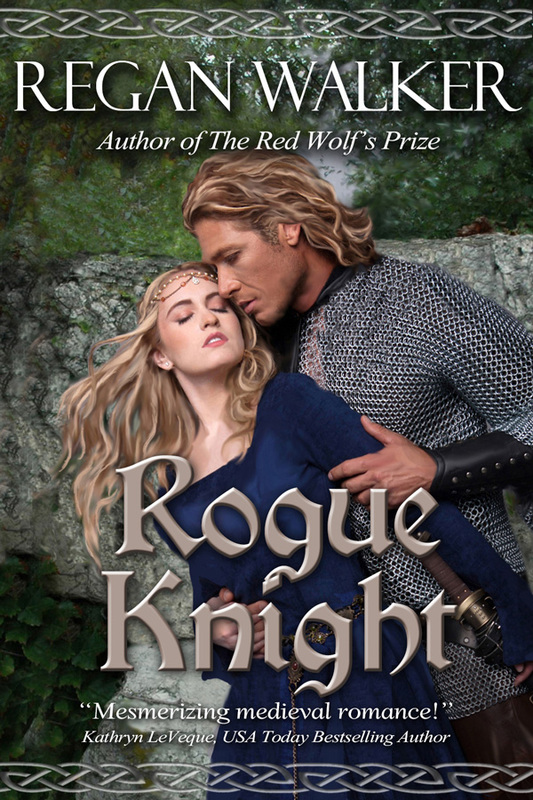 This is where Rogue Knight begins. A year after the first castle was built, the rebels again rose against William killing Richard FitzRichard, the castellan. William brought his army north to subdue them. Once the rebels were sent scurrying off, William built a second castle on the other side of the River Ouse. 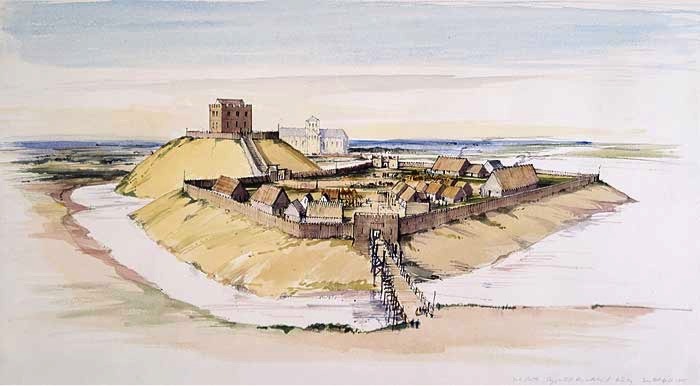 This second castle was constructed on what is now Baile Hill on the west bank of the Ouse opposite the first castle. It was also a motte and bailey design, probably reached by a bridge and steps cut up the side of the motte. One of William’s friends, Gilbert de Ghent, was made castellan of York’s second castle. William probably thought he had Northumbria and York well in hand as he rode south in 1069, however he had not counted upon the fact the rebels were by now joined by some powerful allies: Edgar Ætheling, the young Saxon heir to the throne of England who had been sojourning in Scotland, Maerleswein, former Sheriff of Lincolnshire, Waltheof, Earl of Huntingdon and cousin to King Swein of Denmark, and Cospatric, former Earl of Northumbria. No ordinary rebels these. And William had not counted upon the people of York looking to their allies the Danes. In late summer of 1069, a Danish fleet of 240 dragon ships sailed up the Humber to the Ouse River and to York. They attacked both castles with the assistance of the Northumbrians. The Normans, in a misguided effort to prevent the rebels from burning the castles, had earlier set fire to surrounding houses. The fire raged out of control and spread through the city, effectively turning it into a burned out shell. The fire also destroyed York Minster. This is what the Danes found when they arrived two days later. The Danes captured the castles and killed all the Normans (hundreds) save for the nobles they took as captives (including William Malet and his family, and Gilbert de Ghent). They tore down and burned the castles and then sailed their dragon ships back to the mouth of the Humber where they intended to winter. Likely the Danes did not think William would wage a war in winter. They didn’t do that back then. But William did. He would have his revenge. And he would re-build his two castles. William brought his army north and devastated York and all of Northumbria as far as Durham, killing everyone. He even salted the land to prevent the people from growing food. This is called the “Harrying of the North” and led to the death of 100,000 people. William rebuilt the two castles, again constructing them of wood. The bailey at York Castle was enlarged slightly in the process. The buildings believed to have been inside the bailey at this time included halls, kitchens, a chapel, barracks, stores, stables, forges and workshops. By the time Domesday Book was written in 1086, York Castle was also surrounded by a water-filled moat and a large artificial lake called the King's Pool, fed from the river Foss by a dam built for the purpose. Over time the Baile Hill site was abandoned in favor of the first castle site, leaving only the motte, which still exists. 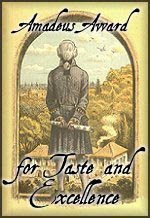 William of Jumièges, a monk and contemporary of William the Conqueror, said that “from the youngest to the oldest” most of the population of York was killed. But William now controlled York, or whatever was left of it, and he had his two re-built castles. 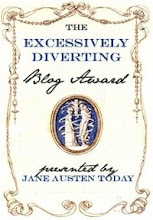 Thanks for having me on the blog, Eliza! and so glad you liked the post, Elizabeth!